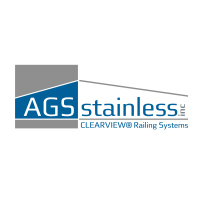 The AGS Rainier stainless cable railing system features a modern, linear look designed to last a lifetime. Rainier’s thin, stainless-steel cable infill provides a highly-durable, low-maintenance solution that is ideal for stairways, balconies and outdoor areas. Our systems are fabricated to the highest quality standards and delivered to you ready to be installed with just a few simple hand tools.